Raspberry flavored cakes are a favorite dessert choice. 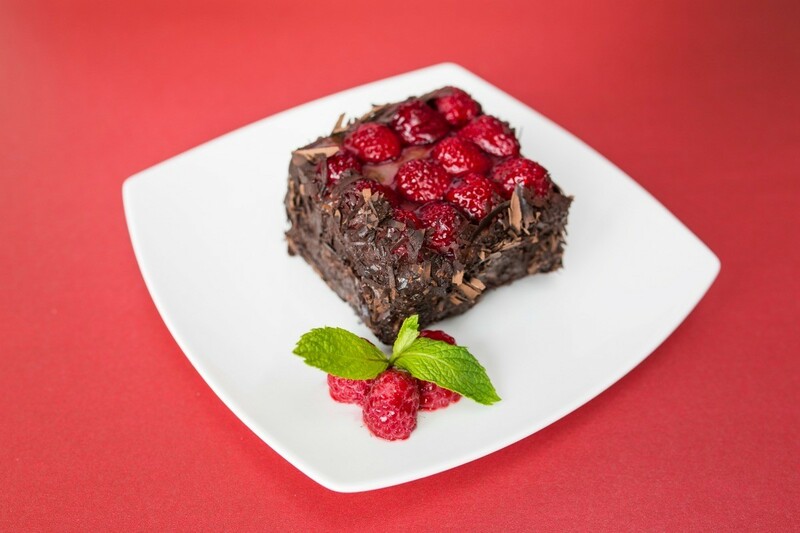 This page contains raspberry cake recipes. Sprinkle Truvia over frozen fruit and let thaw. Prepare 1 pudding according to package directions, adding almond extract. Pour into 9x13 inch dish. Break cake into pieces and arrange over pudding. Distribute juicy fruit evenly over cake. Make second pudding package using 1 3/4 cup milk. Whisk Cool Whip into pudding and spread over top of the fruit. Sprinkle the top with the toasted coconut and almonds. Let set in refrigerator for at least four hours, preferably overnight. Preheat oven to 350 degrees F. Grease a shallow dish (1 1/2 quart), spread raspberries in dish. From the lemons, grate 1 Tbsp. of the peel (just the outside, not the white part) and squeeze 1/3 cup juice. In large bowl, combine sugar and flour. With a wire wisk, beat milk and egg yolks, butter, lemon peel and juice. In small bowl, with mixer on high, beat egg whites and salt until soft peaks form. With rubber spatula, fold 1/4 of egg whites into lemon mixture; gently fold in remaining egg whites. Pour batter over raspberries in baking dish. Place baking dish in 13x9 inch roasting pan, place in oven. Carefully pour boiling water into the roasting pan to come about 1/2 way up the outside of the side of dish. Bake 35-45 minutes. 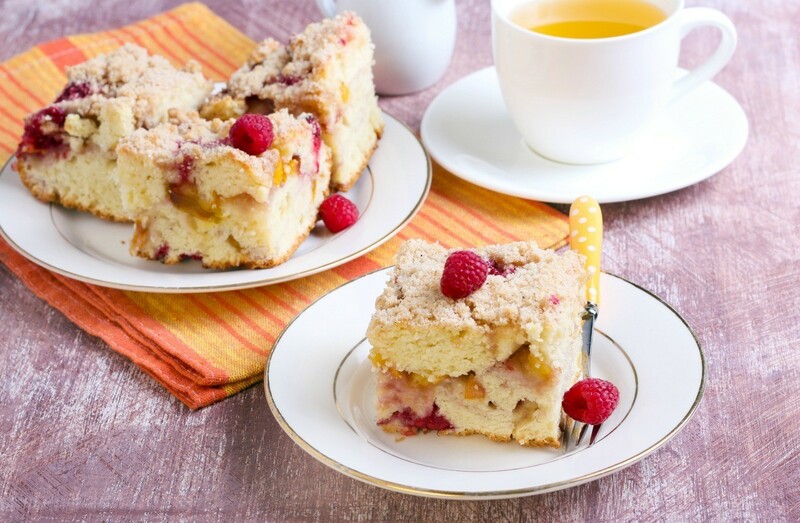 This is a guide about making apple raspberry crumb cake. Chopped apples, raspberry jam, oatmeal, and ricotta cheese help make this a delicious cake, down to the last crumb.